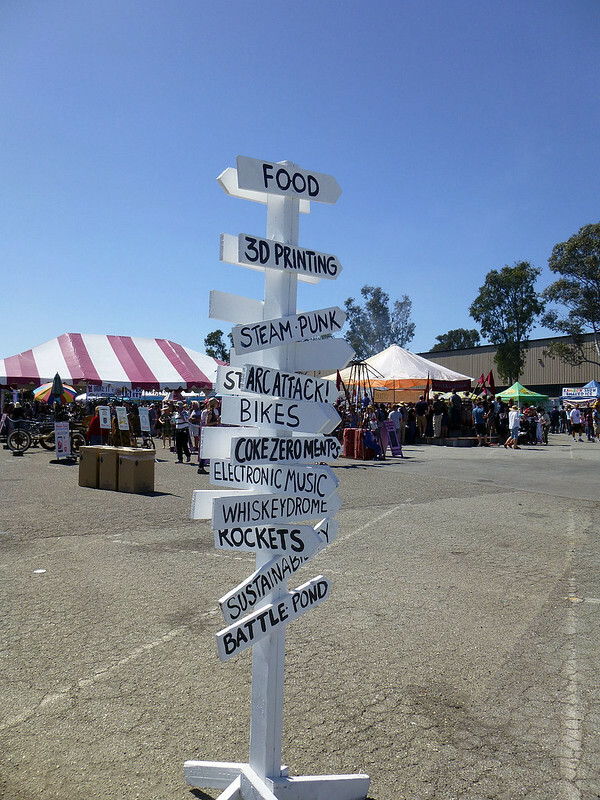 The weekend of May 18th ant 19th was the 8th annual Bay Area Maker Faire. Like so many times before, it featured all sorts of people sharing ideas and showing off their art projects, unconventional conveyances, giant robots, and more. There were all manner of oddities and the folks who love them. I put on my usual display (slightly improved since last year) and spent the whole weekend chatting with anyone who was interested in gaining insight into the nuts and bolts of how I make my various projects. 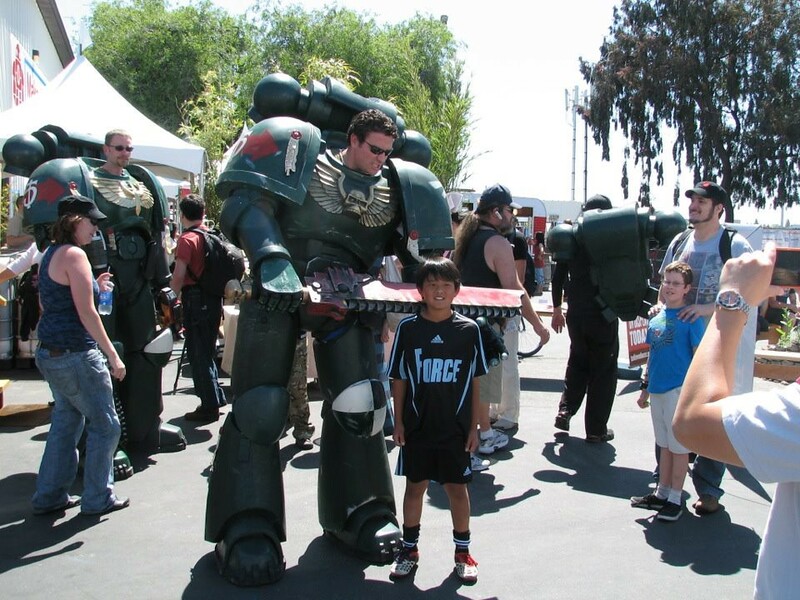 Space Marines are huge. In the game mythology their armor is power assisted, which allows them to move their several tons of mass with all the grace and fluidity of a dancer. 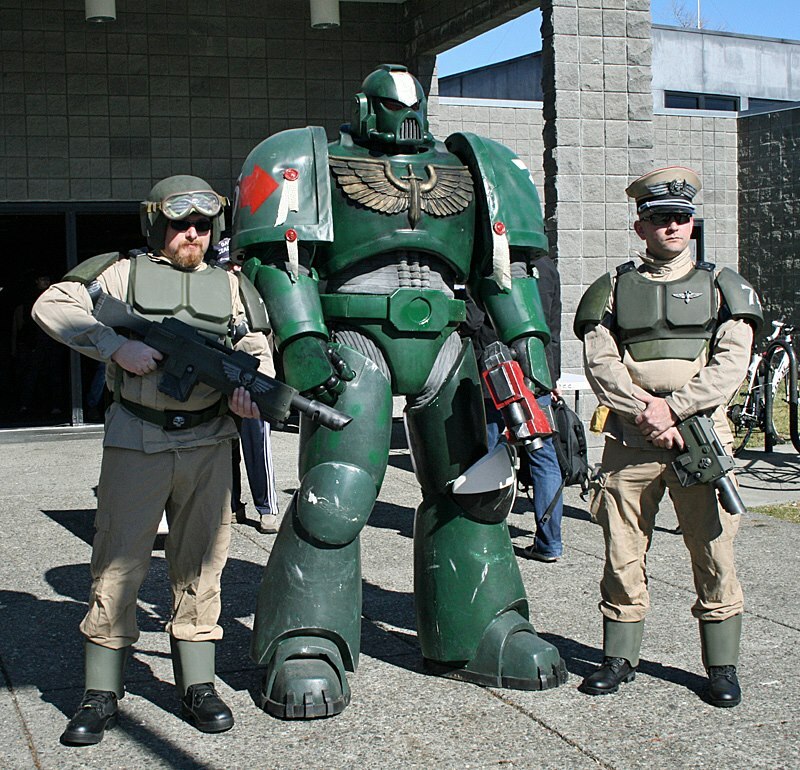 While building the Space Marine costumes, I didn't have access to any of the technology of the 41st millennium. As a result, I had to settle for making them not weigh tons. I also had to have people follow them around to make sure they wouldn't trip or fall over or bump their heads while walking through doorways. Since I didn't like the idea of having the finest warriors of the Imperium of Man being shepherded around by a handful of people in jeans and t-shirts, I needed another option. The other option: have each of them accompanied by a small retinue of Imperial Guardsmen from the Cadian Regiments. 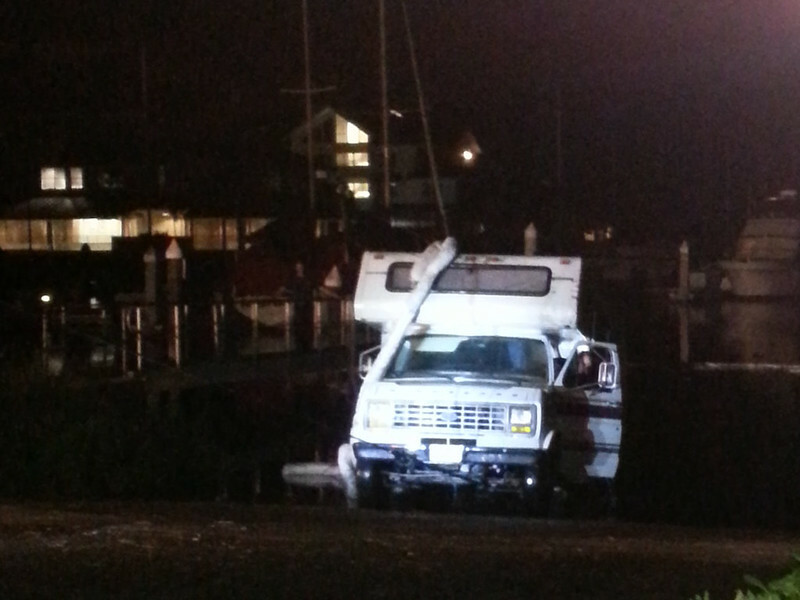 According to witnesses, the driver was backing down the boat ramp to launch a trailered boat he was towing behind the RV. 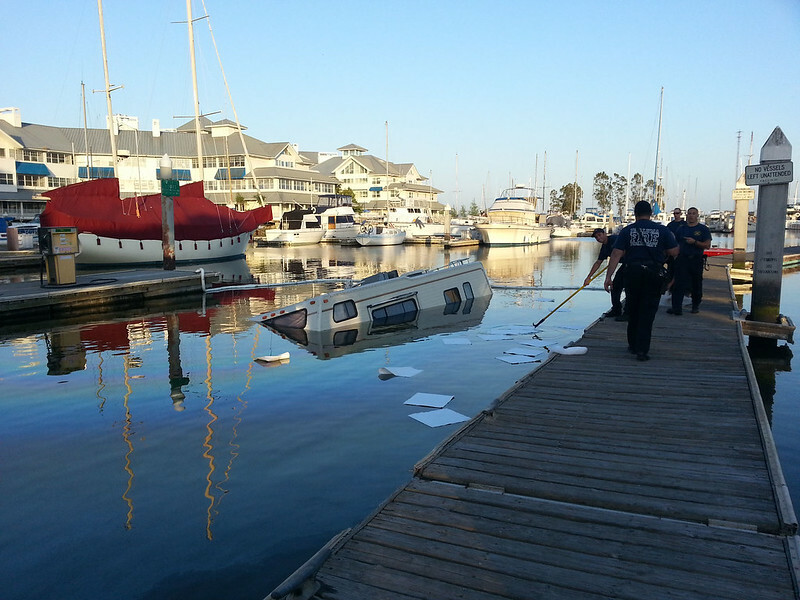 As the boat floated off the trailer, he put the vehicle in park but didn't set the parking brake because "it tends to stick." 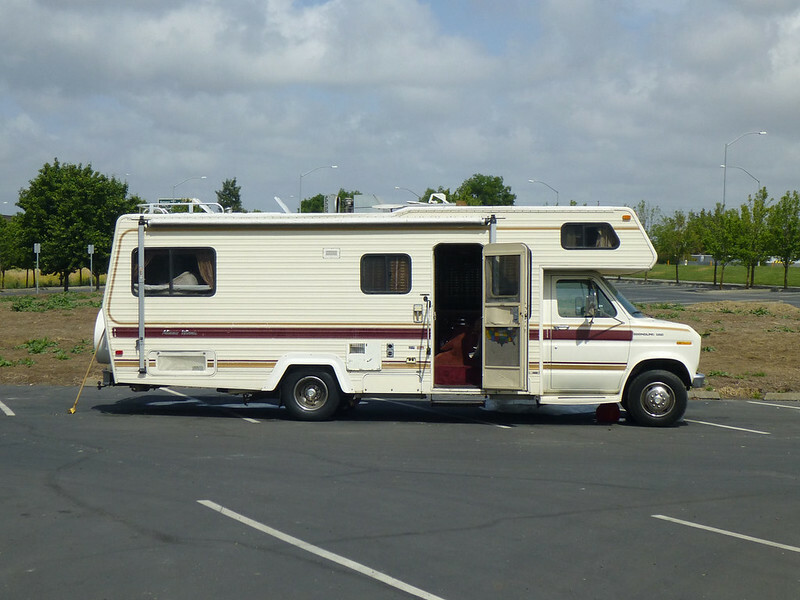 From what I've heard, the driver's girlfriend (a mildly disabled non-swimmer) was seated in the rear of the RV as it rolled itself down the ramp and submerged itself. 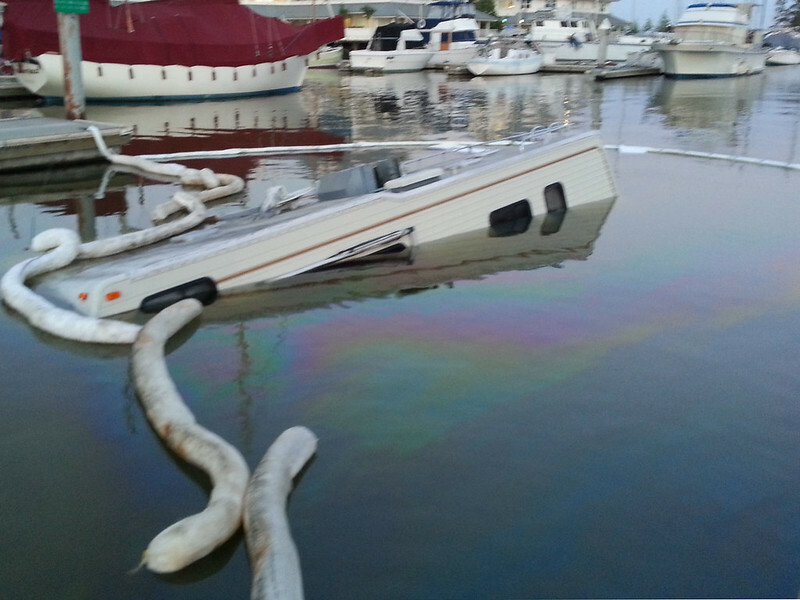 The driver was able to get her out of the vehicle and safely ashore. She was soaking wet, but otherwise unharmed. Then he went for a boat ride. 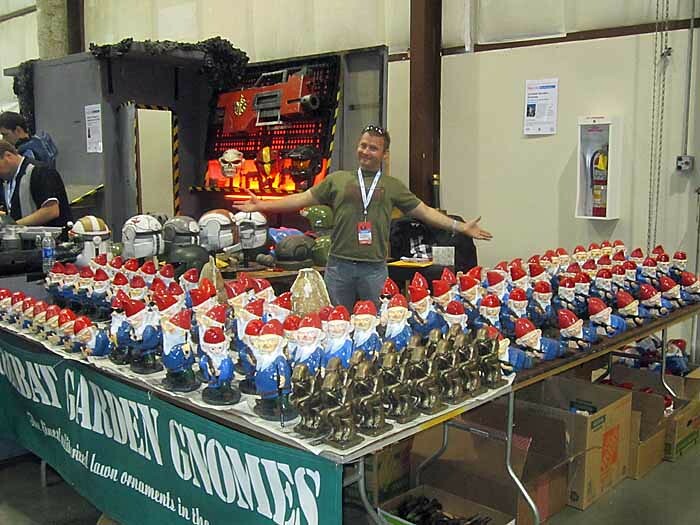 TEN Days to Maker Faire! 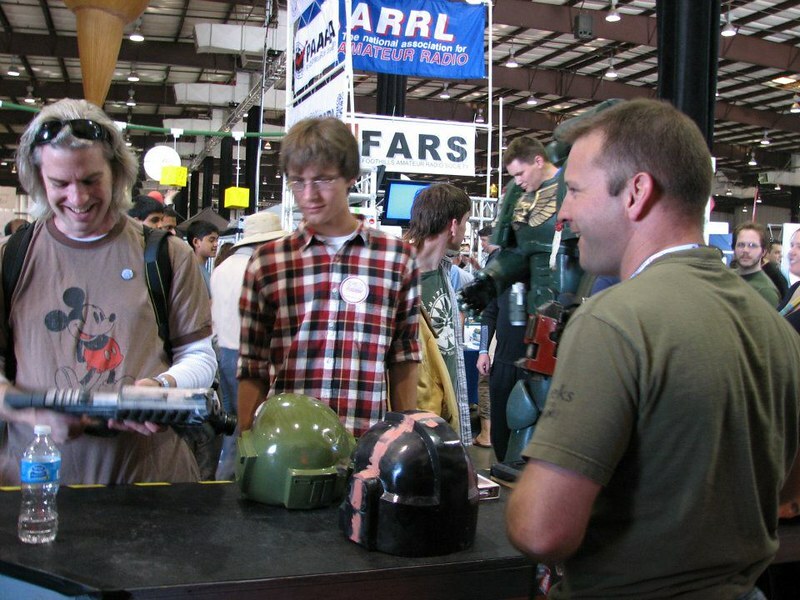 I'm going to be returning for the third year in a row to the Bay Area Maker Faire on the weekend of May 18th and 19th. If you're anywhere in the San Francisco Bay Area, or indeed the entire West Coast, you really ought to head over and check it out. The whole thing keeps getting bigger and better. If you've never heard of it, you should check out the website. 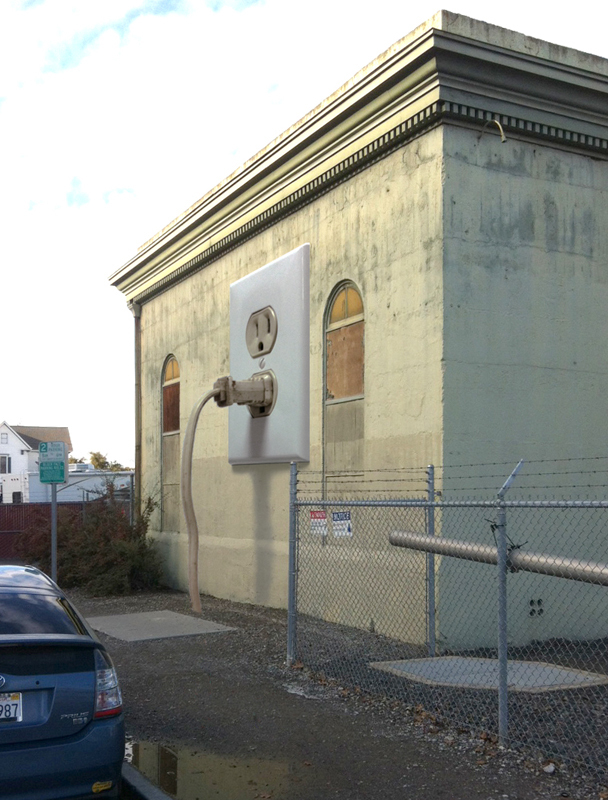 There will be art, science, and tech projects everywhere. The organizers bill it as the "greatest show and tell on Earth" and they're probably right. There will be giant bicycles, flame-belching sculptures, an electronic giraffe, and countless other things to see, do, and learn. Heck, last year there was a guy who'd turned a DeLorean into a hovercraft. So come out and see some awesome stuff, get inspired, and have a great time.